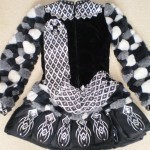 This is a very unique dress made by Kathleen Hendry. 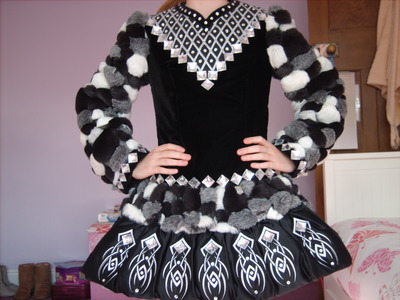 It has a black velvet bodice, dropped waist, puffball design skirt. 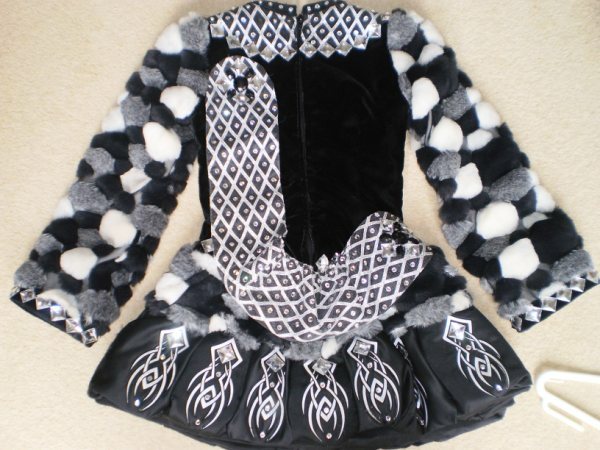 The sleeves and first layer of puffball are made of a fabric which has what i can only describe as fur pom poms which are lovely and soft to the touch. The headpiece is a diamond tiara with black velvet backing also black kick pants included. At least 2″ let out.